High-grade robust hose connector. The hose is fixated safely by the union nut and seals immediately, yet it can easily be released with one hand. The connector is angled by 90°. This system ensures maximum safety and easy of use. 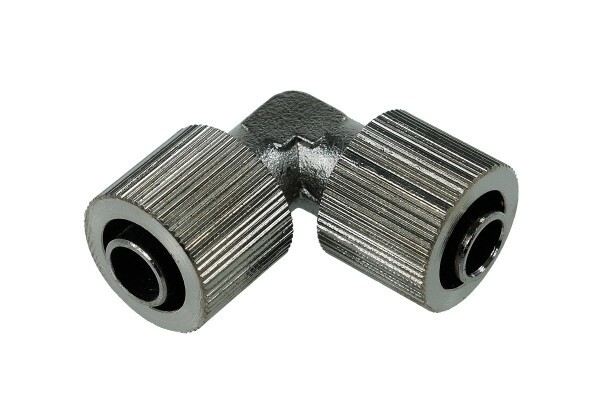 The connector is compatible with hoses with an outer diameter of 11mm and an inner diameter of 8mm. That means that the outer diameter is11mm and and the inner diameter is8mm.